According to the Mirror, the Red Devils are set to make a huge bid for Tottenham Hotspur and Danish playmaker Christen Eriksen. Ole Gunnar Solskjaer is expected to make one of their biggest Manchester United squad overhauls in recent times with many big names likely to leave the club at the end of the season. Manchester United is set to undergo one of their biggest ever squad overhauls in recent times with many players likely to leave at the end of the club. It is also rumored that Ole Gunnar Solksjaer has been handed a transfer budget of £200 million with 5 players on his wishlist. Christian Eriksen is said to be one among the midfielder that the Red Devils is setting their eyes upon. 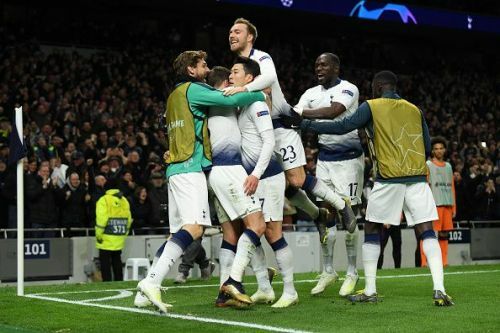 The Tottenham Hotspur playmaker has been a long time Manchester United target with the Red Devils being linked to Danish playmaker on numerous occasions. Eriksen, who will be entering his final year of the contract with Spurs at the end of the season, had recently rejected a new contract offer. The Danish playmaker is set to be holding up for Daniel Levy to make an offer that is on par with the wage that star striker Harry Kane is being handed. Manchester United though is willing to give £240,000 to Christian Eriksen, almost triple of what the Dane is earning at Spurs right now. The Red Devils though will have to fight it out with Real Madrid with Zidane looking to make big changes at the Santiago Bernabeu. The Danish playmaker though is rather low on the transfer list with Chelsea's Eden Hazard and Manchester United's Paul Pogba high on the Frenchman transfer list. Manchester United will look to overturn a 1-0 deficit when they Barcelona at the Camp Nou in the second leg of the UEFA Champions League quarterfinals.